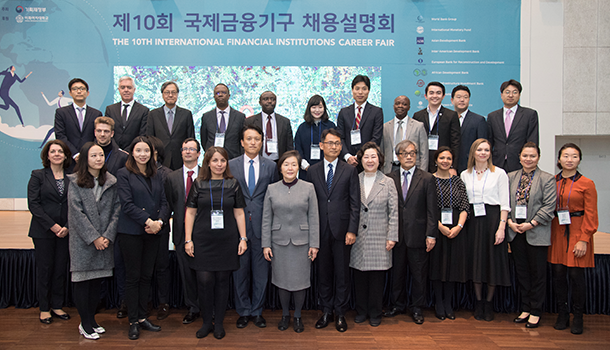 The Career Development Center (Director: Jo Il-Hyun) co-hosted the “International Financial Institutions Career Fair” with the Ministry of Economy and Finance at the Lee Sam-bong Hall of the ECC building between November 19 and 20, 2018. A number of the world’s leading financial institutions participated in this job fair, including the World Bank, International Monetary Fund, Inter-American Development Bank, Asian Development Bank, African Development Bank, European Bank for Reconstruction and Development, Asian Infrastructure Investment Bank, Organization for Economic Co-operation and Development, Green Climate Fund, and Global Green Growth Institute. 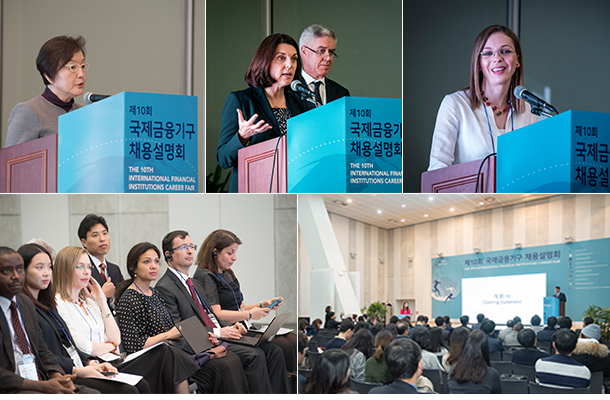 In the next session, each institution provided job information and Korean employees who are currently working for the international financial institutions presented job interview and internship experiences. The presenters said “To work for an international financial institution, English speaking and writing skills are certainly important along with excellence at numbers, but, above all, you have to be able to explain well your sense of duty and why you choose the institution,” while sharing detailed interview tips and practical questions. Each international organization provided intensive consultation at the Multipurpose Hall, and around 160 participants visiting the booths could obtain practical job information and materials. In addition, on the second day of the event, individual job interviews were conducted with pre-applied 122 students.